You may love your little bundle of joy unconditionally, but this love can be seriously tested when the time comes for a diaper change. This task may be a necessary one, but that doesn’t make it any less dreadful for you. As far as the little one is concerned, a soiled diaper is neither good for your baby’s health or temper. They probably throw a tantrum, giving lively expression to their dissatisfaction with the situation until you or your partner come rushing in to discover the cause. Babies truly have a built-in system for expressing their displeasure and rightly so. When changing a diaper, it’s essential to clean your baby’s bum properly. Otherwise, you risk exposing your child to various skin and health issues. This is where baby wipes come in handy. You can easily wipe your baby’s tender skin with these mild, wet wipes and keep your little one dry and comfy. While there are many brands of baby wipes available in the market, such products often contain chemicals including added fragrance that can cause serious allergies and rashes on your baby’s skin. In the end, it’s best to use only 100% natural products on your little darling’s delicate skin. 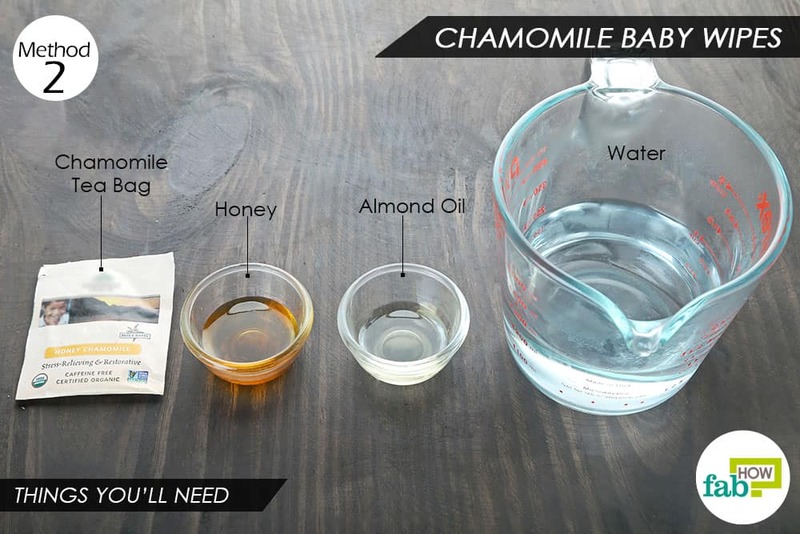 Here are three recipes for DIY homemade baby wipes using natural herbs and oils that will not only keep your baby’s skin soft and well-moisturized but also deeply nourish it. If you want your little tyke to have the best of everything, this DIY coconut oil baby wipe is a must-try. 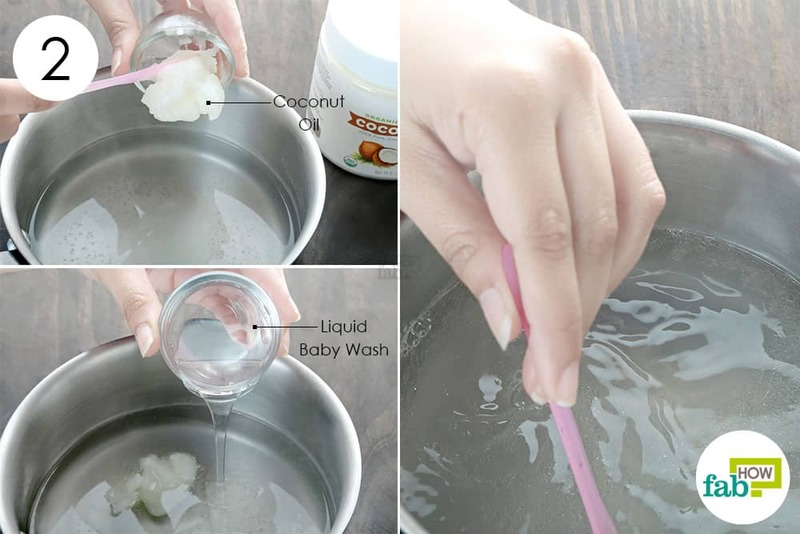 Extra-virgin coconut oil comprises medium-chain fatty acids that nourish, moisturize and enrich your baby’s soft skin. As a bonus, it has potent antimicrobial and anti-inflammatory properties that will protect the tender skin from rashes and infections. This recipe also contains liquid baby wash to ensure that your baby’s bum is cleaned thoroughly. You can use any baby wash of your choice. Check the label to ensure that it does not contain any harsh chemicals. Pour 2 cups of water into a pan and bring it to a boil over high heat. Remove the pan from the heat and let the water cool down a little. Add 2 tablespoons of extra-virgin coconut oil to the hot water. 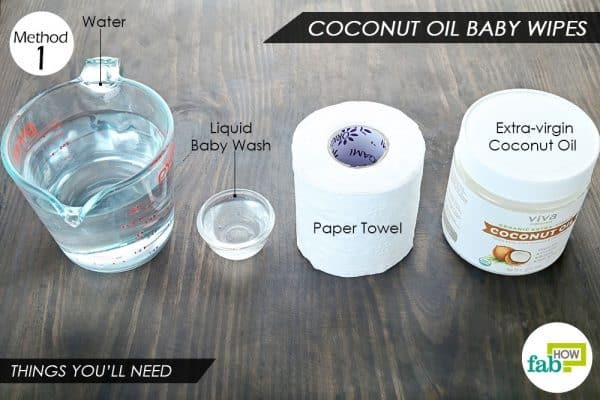 Add 2 tablespoons of a liquid baby wash as well. Use a cylindrical airtight container that is large enough to fit the paper towel roll in. 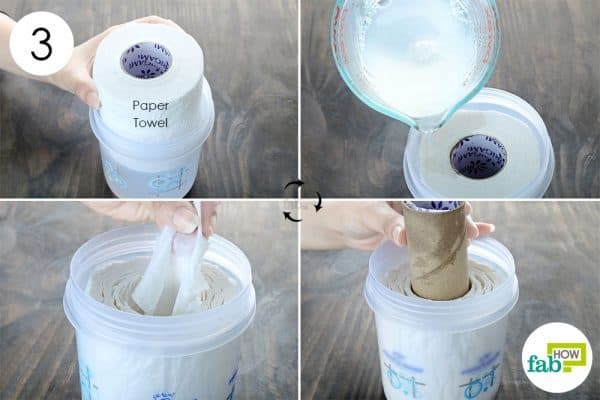 Place the paper towel roll in the container. Carefully pour the prepared blend over the roll, ensuring that all the paper towels are doused evenly. Screw on the lid and turn the container over to ensure even distribution of the liquid. Your DIY homemade baby wipes are ready for use. These wipes will last for at least 15 days in an airtight container. Now, a good cup of chamomile tea can help both you and your baby relax. Apart from fighting stress and insomnia, chamomile tea can also be used to make DIY all-natural baby wipes that have antibacterial, antifungal and anti-inflammatory properties. Mixing chamomile tea with honey and almond oil forms a gentle cleaning solution to make skin-safe and protective wipes. Honey has potent antibacterial properties of its own, and almond oil nourishes your precious baby’s skin. Brew 1 cup of chamomile tea by steeping a chamomile tea bag in 1 cup of boiling water for about 4 to 5 minutes. 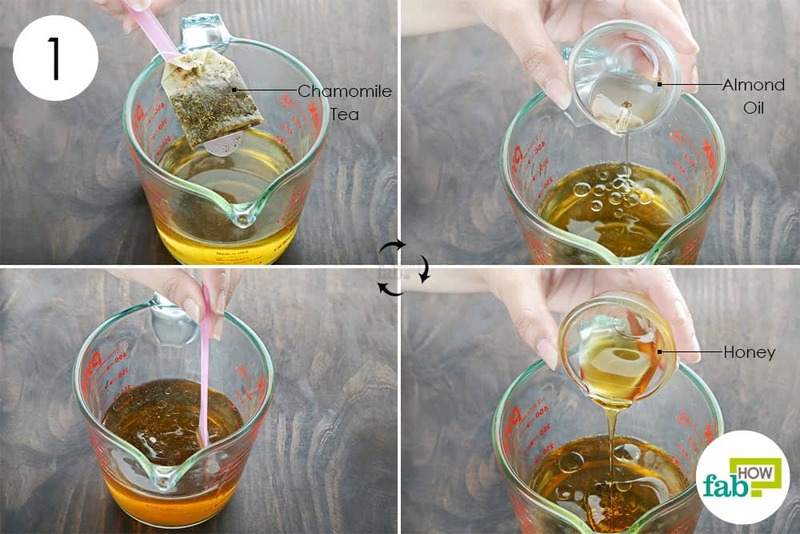 Remove the tea bag and let the tea cool down a bit. Add 1 teaspoon of almond oil to the tea. Insert a paper towel roll into a cylindrical airtight container. Pour the prepared blend evenly over the paper towels. Remove the cardboard roll and voilà! Your wipes are ready. These DIY homemade baby wipes will last about 15 days. Check them every day to ensure that they do not develop mold. It is best to prepare small batches on a weekly basis. Witch hazel is a natural tincture that can be used to make antibacterial baby wipes and also treat diaper rash. It is combined with pure aloe vera gel, which has antimicrobial and skin-healing properties. In fact, it would be best to use freshly extracted aloe vera gel. 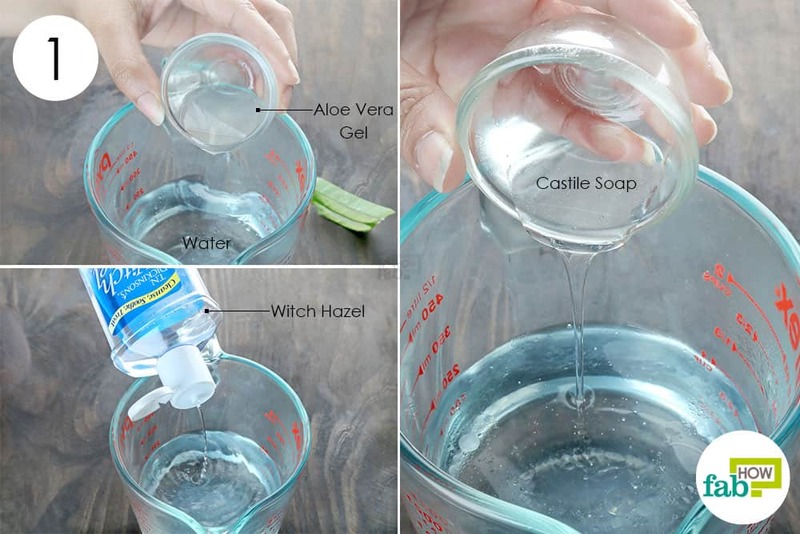 If you are wondering how to proceed, you can read our article about how to extract fresh aloe vera gel from an aloe vera leaf. 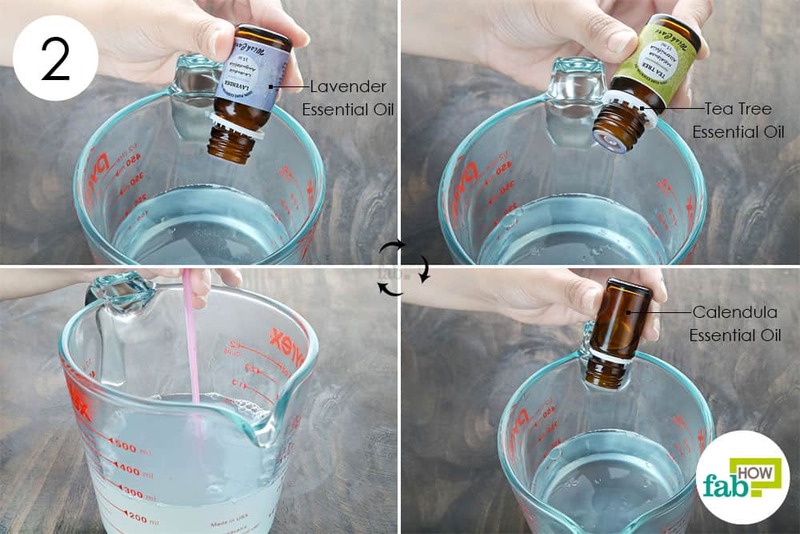 This recipe also includes essential oils to protect and soothe your child’s skin, along with liquid Castile soap for gentle cleansing. 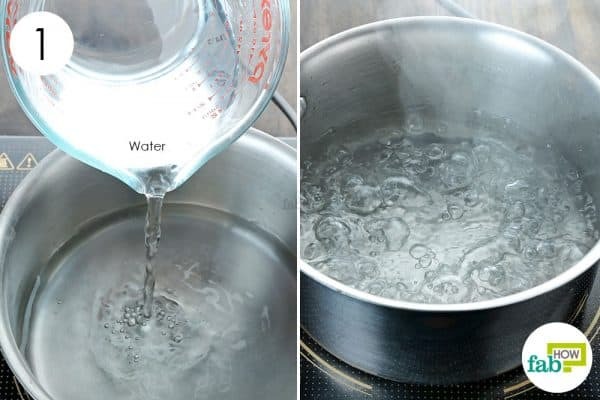 Pour 1 cup of boiled or distilled water into a container. 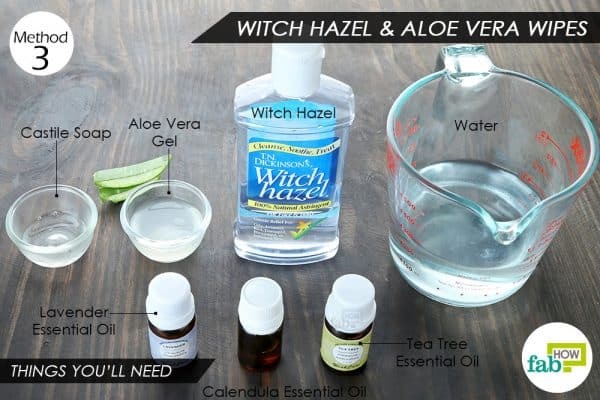 Add 1 tablespoon of witch hazel as well. Also, add 1 teaspoon of liquid Castile soap. Add 2 drops each of lavender and tea tree essential oils. Add 3 drops of calendula essential oil as well. Insert the paper towel roll in a similarly shaped airtight container. Pour the prepared mix evenly over the paper towel roll. 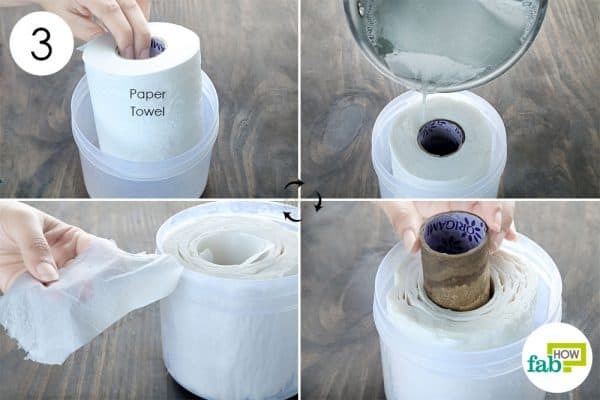 Remove the cardboard roll from the paper towels. Your wipes are ready to use. These DIY homemade baby wipes will stay good for 7 to 10 days when stored in a cool and dry place. Check daily to ensure that they have not gone bad. Do not leave the storage container open for too long, as the wipes may dry up. Tear off as many wipes as you want, then close the airtight lid. 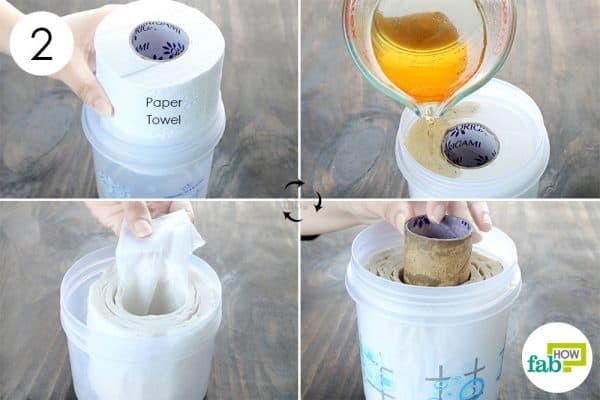 Instead of preparing a full roll of wipes, you can simply pour the solution into a spray bottle. When you need a baby wipe, just spray the solution on a paper towel. 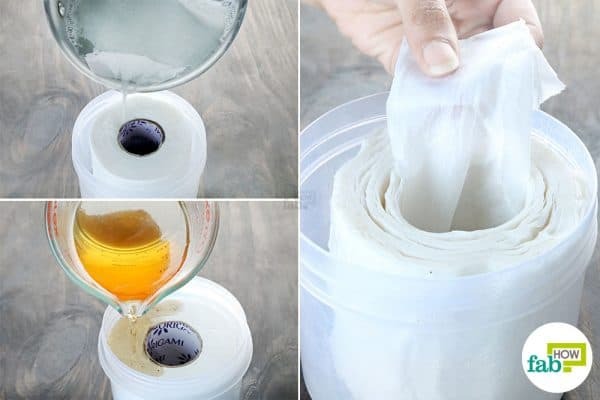 You can also use these DIY homemade baby wipes to wipe your skin when you go out or even to remove your makeup. Just put a few wipes into a ziplock bag and stick it in your purse. If you are interested in more DIYs for babies, you can learn how to make diaper rash cream as well. I’m not sure how coconut or almond oils will stay blended without an emulsifier in the 1st two methods. Also, when making any skin care products using water–it should ALWAYS be with distilled water (never tap water, even if boiled).